Yeah, but: Behold with cautious optimism. 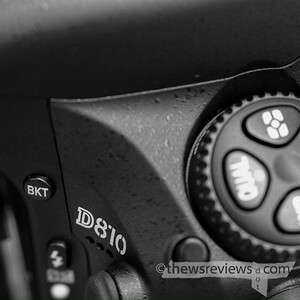 Counter Opinion: I know what I'm risking by saying this, but I'll say it anyway – Nikon has gotten the D810 right. Sadly it's a truism that Nikon has the ability to screw up the most surprising and basic things, even on simple model refreshes, so that sound you hear may indeed be the other shoe dropping. But, for now, I'm going to call this a win. When I first saw the D810 details, my initial thought was that Nikon had improved the D800, but that not being good enough was never that camera's problem. Now I'm thinking that Nikon has taken the D800 and done what Canon did to the 5D2: there are no huge headline-grabbing changes – except to the price – but everything has been made better. The price is high, yes, but to some people it will be worth it. There's nothing better for even close to the same amount of money. 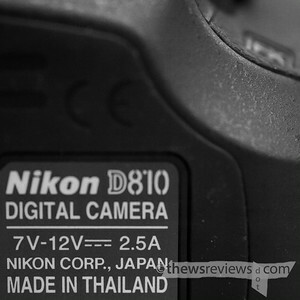 Some noise has been made about the D810 being made in Thailand instead of Japan. I can't say that there's any deficiency in its build quality when compared to the D800 that I've been using for years. The grip is a big improvement over the D800, being at least as nice as the D700, with a deeper finger groove and a real thumb ridge. Even the button that's used to change AF mode has had some extra texture added to make it easier to find and press. The control interface has been tweaked and loses nothing in the process. 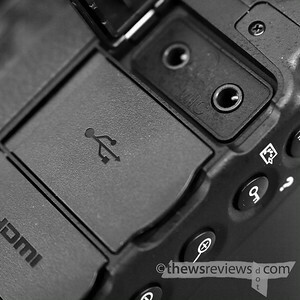 The bracketing button, which was removed from the cloverleaf, has found a new home near the flash controls. The OVF information display is a friendlier pale blue instead of LED Green. The LCD is better, and manually focusing in Live View is easier. The left-side port covers have been improved and the port placement has been rethought. The shutter sound is strikingly quieter and much more subdued. Everything is better. There are lots of features that I can't evaluate but are still very promising. Nikon's metering has always been good, so the highlight-priority weighting could be very useful. Being able to magnify two different parts of the scene to check for focus and composition would have made my most recent series almost too easy to photograph – most of my best work is done with a tilt-shift lens. The electronic first-curtain shutter for Live View and Mirror Up mode is also a very positive change for extracting maximum quality from a camera that's designed for it. The D700 was a great and much-loved camera, but the D810 replaces it for everything except the very fastest frame rates that it could hit with the EN-EL4a or AA batteries in its grip. Hard drives are cheap. The D810 is simply the best camera out there right now south of the Pentax 645Z – we know this because the D800 was the best sub-10K camera last week, and the D810 is better than that. The D810 is still only a mid-cycle update, so I wouldn't consider it as a replacement for working D800/E cameras, despite my being slightly jealous of how nice the new machine is. If I photographed events I might be tempted to spend the extra money just for the quieter shutter, though – it really is a big difference. But even without being a D810 buyer I'm incredibly pleased that Nikon seems to have this one figured out. After watching them fumble through the V-series and Coolpix A I had my doubts about their abilities to design and make cameras, and I may want to replace my D800 with another Nikon some day. But then again, that other shoe still hasn't been heard from yet.